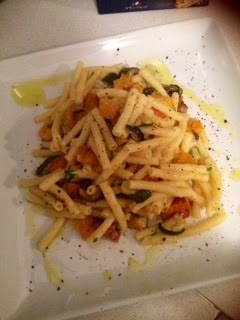 This is a fantastico easy pasta to whip up on a week night. Great for vegetarians and anyone that loves the full flavours of roasted vegetables...enjoy with your favourite glass of vino and maybe some lievito (sourdough) fresh from the oven...delizioso! 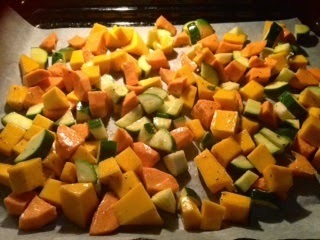 Preheat oven to 180 C. Put the olive oil and garlic in a large baking tray, then add the vegetables. Roughly chop the fresh rosemary and scatter over the vegetables. Seasoned well, then toss everything gently with your hands until the vegetables are well coated with oil and herbs. Bake for 30 mins.